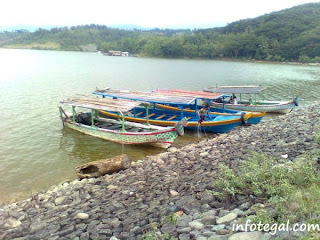 Cacaban dam is a dam located in District Kedungbanteng, Tegal regency, Central Java, Indonesia. The total area of ​​928.7 hectares and the reservoirs are filled with water as much as 90 million m³. Reservoir is supported by a background of forest scenery with a beautiful panorama. Cacaban dam was inaugurated by President Soekarno in 1952 (Reservoir in Indonesia who first opened). 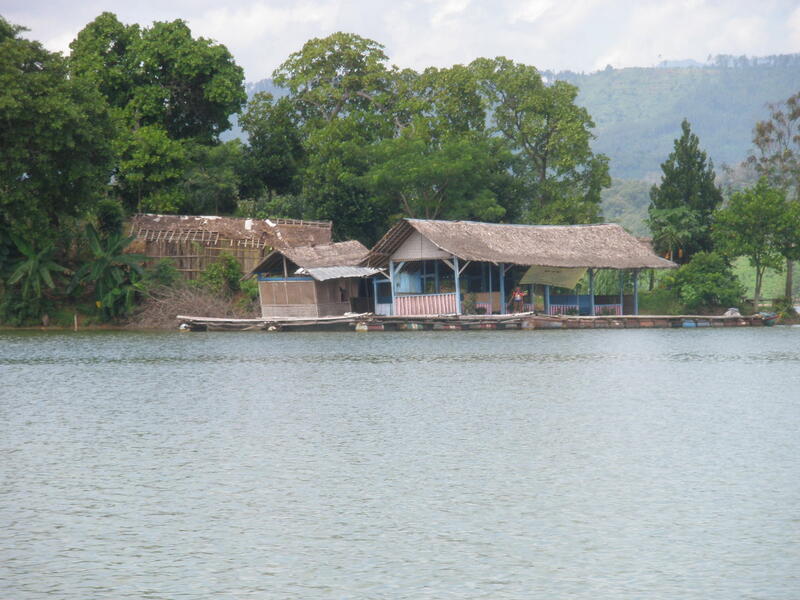 Reservoir is actually serves to irrigate rice fields in the vicinity, but also functioned as a tourist attraction. 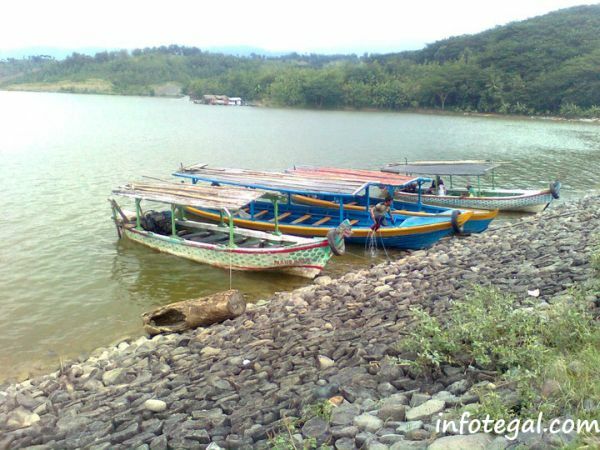 Located not far from Slawi, approximately 9 miles to the east in the village of precisely Karanganyar Kedungbanteng District, and is one of the attractions in the area. The scene is still very natural reservoirs cacaban because the location of reservoirs cacaban far from urban areas. Uniquely in the middle of the reservoir there is also a small island called the island gendu, to be able to see first hand the island gendu we use boats that are available alongside a reservoir.